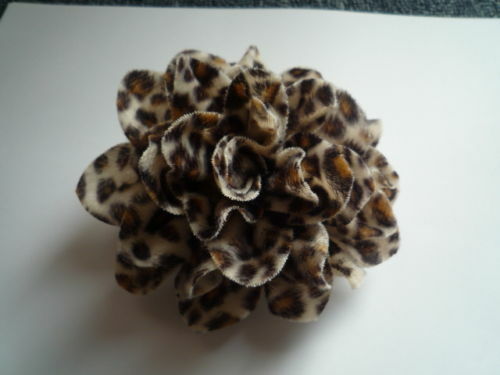 pin & clip flower brooch/corsage, about 10cm diameter, 25cm long. 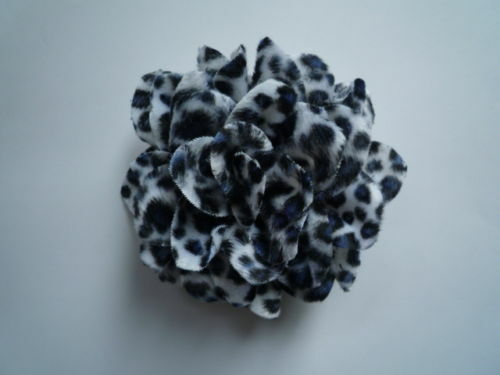 pin & clip flower brooch/corsage, about 11.5cm diameter. 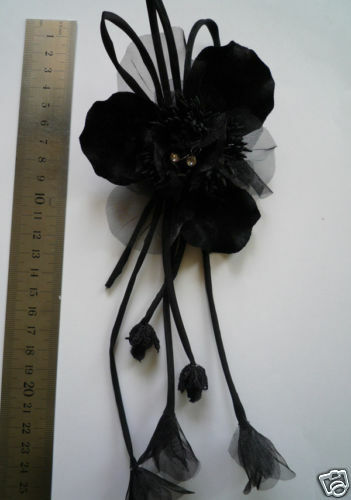 pin & clip flower brooch/corsage, about 12cm diameter, 30cm long. 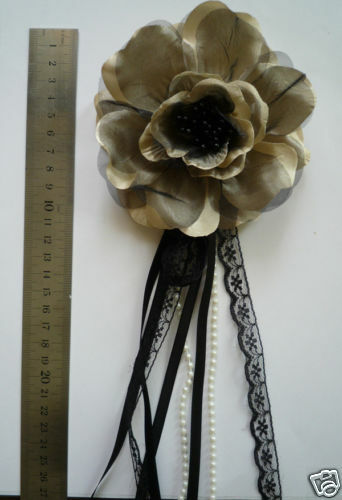 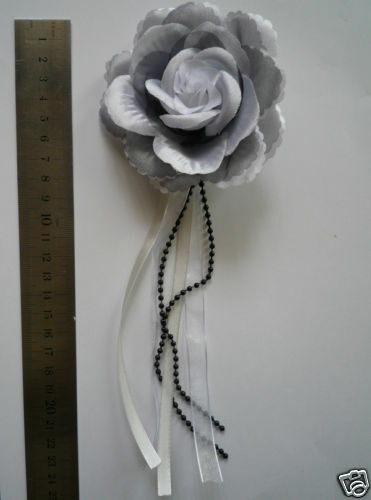 pin & clip flower brooch/corsage, about 9cm diameter, 23cm long.